How does a typical day in a Japanese school go? Based on my experience and on research, Japanese students and teachers spend way more time in schools than other countries. They spend really way more time and days in the school than in their houses. Schools officially start around 8 am and officially end at around 3 pm. But this is only the "official" time. In reality, students come to school as early as 6:30 am for club practice. Don't be surprised seeing students all sweaty and dirty even before class starts. As I've said, some students have club practice before 8 am. Five minutes before 8, all students must be in their classrooms. There, they'll have either homeroom time or individual reading time. This usually lasts for 20 minutes. A few days in a month, this 20-minute pre-class time is allotted for student assembly. If you're working in schools and you can't find anyone during this time, they're probably in the gym for the assembly. Someone emailed me to ask the different kinds of English teaching in Japan. Hence, I'm writing about it today. There are three common types of teaching English in Japan. First is as an ALT or Assistant Language Teacher. Second is as an eikaiwa teacher or a language school teacher. Third is as a private teacher. I have work today but no class. All classes from first year to third year have some "social awareness" activities. They do these things every year around this time. The first year students are spending time with old people. They'll be talking with them and conducting interviews. Maybe they'll ask how's life as an old person. They'll also be playing cards and other board games. Then, they'll be presenting a traditional dance. It's like spending a day in a nursing home and making sure the oldies have fun. Just like any other job, being an ALT has its good sides and not-so good sides. If you're thinking of working as an ALT, think whether the following pros outweigh the cons. 1. The nature of work is easy. Being an ALT is the easiest job I ever had. I just prepare fun activities and do them in class. Then there times when all I have to do is read whatever's in the textbook. I'm not saying that being an ALT is a no-brainer. You still need to work, think and be creative. But compare with other jobs, being an ALT has less tasks and less responsibilities. Just plan lesson lessons, teach and speak in English. Repeat until the school year finish. I have around 60 days of time off in a year- 2 weeks of spring break, 2 weeks of winter break and almost 4 weeks of summer break. That's really plenty of time to travel and do nothing. But that's not all. At work everyday, I still have plenty of free time. This blog started because of free time. Then the longer I work as an ALT, the less time I need to prepare. The less time I need to prepare, the more time I have. On average, I only use 4-5 hours in school for actual ALT work. With the remaining time, I blog, I hang out with students and I just read random stuff on the internet. Some ALT's use this free time to study Japanese. I was like that until I gave up on Japanese. What Can You Gain from Japanese Schools? A Filipina recently asked me if she should enroll her daughter in a Japanese public school or in a private school. Since she knows I'm a teacher, she asked me what would her daughter gain in a Japanese school. I told her that her daughter will have language and cultural exposure. I can't think of anything else during that time. 1. You'll have an early training for hard work and time management. Even if I have part time jobs after working at the school, my tight schedule is nothing compared to the students here. 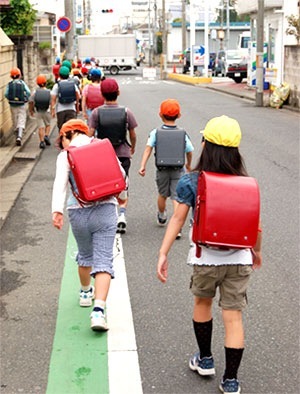 If you're in junior high school, you'll go to school at around 6 or 7 to practice sports. Then you'll have school from 8 to 3. Sports club again until 6 or 8 pm. Then you'll go to cram school or juku. Before you sleep, you have to do homework. You also to give up your weekends for more sports practice. This kind of schedule will get tighter when you go to high school. By the time you enter the Japanese workforce, you'll be more than prepared to work as hard as the others who can survive with barely 4 hours of sleep. ALT stands for Assistant Language Teacher. Because an ALT is an assistant in the Japanese classroom, there's a Main Teacher. JTE's are expected to teach with ALT's at least once a week. However, to what extent should they work together depends largely on the JTE. ALT teach during the whole class period while the JTE stands at the back of the room. The JTE will only help when asked. ALT do the reverse- they stand at the back of the room and will only help when the JTE request for assistance. ALT is given half of the class time. I like this kind of ALT-JTE team teaching. I get to teach but half the effort. But my favorite is when the ALT and JTE actually teach as a team. It's when I can rely on the JTE to support me and when the JTE can also depend on me to deliver a great lesson. I've worked with more than 10 JTE's in my 3 years in Japan but I've only experienced consistent great team teaching with 3 JTE's. Because of this, they're my favorite JTE's, unsurprisingly. So what makes a good ALT-JTE tandem for team teaching? Japanese students are pretty easy to deal with. Most of them are generally well-behaved. They follow school rules. They respect the teachers. They're organized. They're trained to do tons of homework. Even the few problem students are still manageable. However, there's one kind of Japanese student that I detest dealing with. I personally call them the "silent *itch." Most English-speaking foreigners I know are or were Assistant Language Teachers or ALT's. ALT's are foreign English teachers in Japanese public schools. This is the most common ticket of foreigners to live and work in Japan. 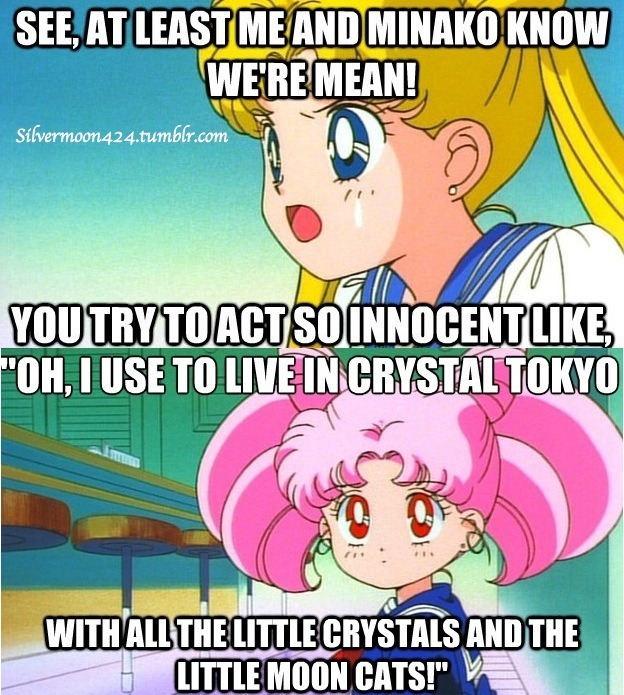 If you're planning to apply as an ALT in Japan, here are some truths about the job. Whether the following are good or bad is entirely up to your perspective. An assistant's job in any field is to provide support to the main character. This is what basically being an ALT means. You have to provide support based on how the main teacher needs you. Some ALT's are needed to just repeat words in the classroom, like a tape recorder. Some ALT's are asked to come up with 5-10 minute warm-up or review games. Some ALT's are asked to think of games, make worksheets, sing songs and talk about their culture. Your task as an ALT depends largely on what the main teacher will ask you to do. On my first weeks as an ALT, I had a hard time adjusting to the role of an assistant. Before coming to Japan, I was in control on my own classes. It took time for me to accept that I'm now just an assistant. I can make suggestions but it's the main teacher who will ultimately decide what I should do in the classroom. Part 3: Native vs. Non-Native English Teachers- Who Wins? The first and second parts of this series showed the most common criticisms of native and non-native English teachers against each other. Native teachers criticize non-native's English skills- accent, pronunciation, grammar and cultural knowledge. On the other hand, non-natives argue that a lot of native teachers give English teaching a bad name. In this last part, let's see the pros and cons of native and non-native teachers. Yes, you read the previous sentence right. Even native English teachers have disadvantages in ESL teaching. And yes, non-native teachers have some advantage against native teachers. In the early 1990's, Peter Medgyes did an interesting research regarding the perceived differences between native and non-native English teachers. More than 300 ESL teachers- natives and non-natives, from 11 countries were surveyed in this study. Here's the summary of his study's results. He divided the results into 4 parts. 1. Native teachers are definitely more proficient in the language. However, proficiency does not mean efficiency in teaching. 2. Although non-native teachers are not as proficient as the native teachers, they use more effective language-learning strategies and they are more sensitive to their students. They also anticipate and prevent language difficulties better than native teachers. 3. Native teachers supply more cultural information while non-native supply more information about the English language. 4. Native teachers provide good language model while non-native teachers provide good learner model. After all the arguments and presenting these findings, who ultimately is the better teacher? As cliche as this will go, I would still have to conclude that it depends on the learner's purpose and level. If a learner is a beginner or feels overwhelmed by studying English, a non-native teacher seemed to be a better choice. If a learner is already proficient and want to use English in more contextual way, a native teacher is a good choice.We also have to factor in the learner's learning style. The argument between the natives and non-natives will continue as ESL teaching is constantly evolving. What's good to keep in mind is that: Just like other professions, to be an effective ESL teacher is not dependent on one's country of origin. The first part of this Native versus Non-Native English Teachers series dealt with the most common arguments of native teachers against non-natives. These complaints are related their language skills- accent, pronunciation, grammar and cultural knowledge. On the other hand, non-natives' most common defense are related more on native teachers' view and attitude of ESL teaching. I'm not a native speaker so I don't know what's going on in a native speaker's mind. I can only offer possible explanations why native teachers are perceived in a certain way and why perceptions are not always the reality. There's a perennial argument in ESL teaching about native versus non-native teachers. There are so many issues and thousands of argument about this it took me almost 10 years to finally write my own piece. Also, because of the various points related to this topic, this will be a 3-part series. The most common argument of Native speakers is that they know English more intimately than the non-natives. They've heard it since they're in the womb. That's how intimate they know the language. This argument is truly valid. Even if I want to learn Japanese, I'll look for a Nihonggo teacher who's actually Japanese. If an Indian teacher shows up in my Japanese class, I'd doubt him at first. 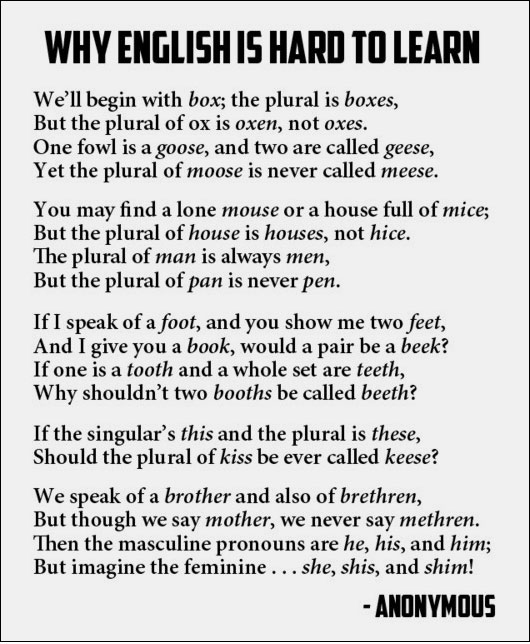 On the other hand, non-Native speakers argue that since they've learned English they know how to break it down and how to teach it to ESL learners. This argument is also valid. I'm a non-native speaker and the way I teach is the way I learned English. If native speakers have an intimate knowledge of the language, non-natives have personally experienced learning the language. Both arguments have merits but there's a disconnect in perspective. Native speakers look at English holistically. English is not just a language but a representation of a culture and of a race. Non-native speakers view English as a skill. It's a tool and a means. Interestingly, native speakers' most common arguments against non-natives are skills-related. On the other hand, non-natives' most common arguments are more on the race. Here are the most common arguments I've read against non-native teachers. As a non-native teacher, I will not provide rebuttals cause I might just sound bias. Instead, I'll try to explain the situation of a non-native English speaker- both as a teacher and as a learner. The school lunch is one of the best things in Japanese schools. The food being served is healthy, well-balanced and affordable. The serving is very filling that I don't usually finish it. I'm thankful for the school lunch because I don't have to worry if I'm getting proper nourishment. The menu is prepared by a certified nutritionist. I also don't have the burden of thinking what food to prepare for school everyday. 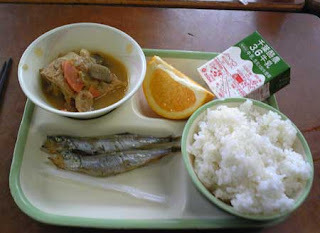 Other countries should consider adopting Japan's school lunch system. Great Teaching Idea for Months of the Year: Let's Play Cards! A big challenge in teaching the months of the year is how students can memorize them. Months of the year in Japanese is so simple. January is 1月. (Read as ichi-gatsu) February is 2月. (Read as ni-gatsu). They just use 1,2, 3 to 12 plus the word "Gatsu" to name the months. On the contrary, names of the months in English doesn't really make sense unless you know its history. January and February have the same ending. The same with the ber months. Then there are April, May, June, July and August that don't seem to follow a particular sound pattern. It can be confusing, I tell you. Fun Christmas Lesson Idea: Let's Sing Some Carols! Christmas is not a big thing in Christmas but some teachers would ask the ALT to give a Christmas lesson. When I was asked to give a Christmas lesson on my first year, I want to show how wonderful Christmas is. Personally, I feel Christmas is in the air when the carols start to play. Sadly in Japan, all I usually hear is Taylor Swift's version of "Last Christmas" and Mariah Carey's "All I Want for Christmas is You." The students were surprised to know that there are many many Christmas Carols aside from the two pop Xmas songs and We Wish You a Merry Christmas. So aside from doing what I want- that is to listen to carols, this lesson is also a great chance to expose students to classic Christmas carols. Crossfire is a popular warm-up and practice activity in the Japanese classroom. Most Japanese English teachers I've worked with are familiar with it. 1. Ask all students to stand up. 3. Call a student who raised his hand. 4. If the student's answer is correct he can choose to save the students on the same column or row. Once the student choose which students to save, the other students can sit down. If the student's answer is wrong, call another student. 5. Keep on asking question until all students are seated. Are you getting ready to come to Japan and teach? Are you planning of becoming an ALT in Japan? Are you a new teacher in Japan and needs some help in finding your way? Or, you're just plain curious how teaching is done in Japan? If you're one of these, then my latest e-book, Jumping to Japan (How to Survive Teaching in Japan), is for you! I wrote Jumping to Japan to help incoming Assistant Language Teachers (ALT). I've been a new ALT once so I understand the anxiety and confusion new ALT's may feel. Jumping to Japan covers topics of immediate concerns of prospective and new teachers such as: what to do on the first day of school, what Japanese level should ALT's have to survive, how to prepare the first lessons, how to work with Japanese teachers and how to deal with Japanese students. Its 20 pages are packed with the most essential information that could help new ALT's easily adapt and understand the Japanese school system. It's short and sweet. To get your copy just send an email to: fayevitz@gmail.com. Copy and paste: Please send me a copy of Jumping to Japan. And voila! 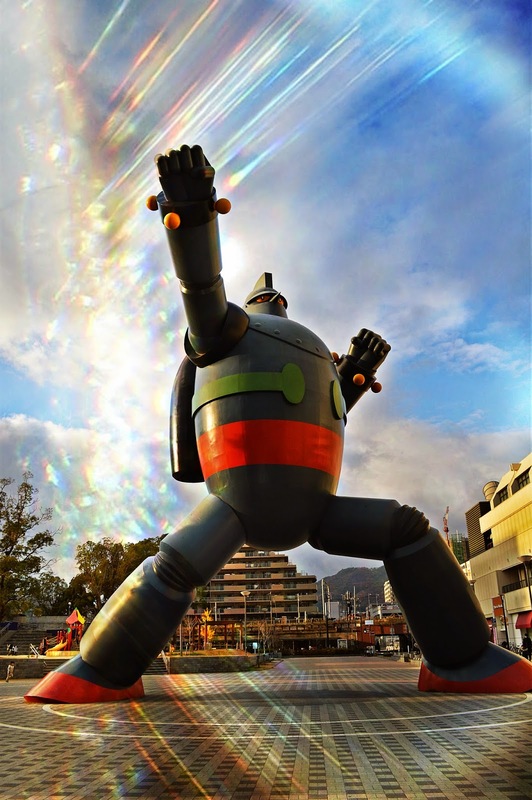 Jumping to Japan will be delivered in your inbox for FREE! To get a glimpse of this book, click the Jumping to Japan header or just click this link! May you find the information you need. Happy reading!